The cello excerpt from Act II, No. 5 of Beethoven's The Creatures of Prometheus, Op. 43 has been edited by Frank Miller, former principal cellist of the Chicago Symphony Orchestra for over 20 years. Miller's bowings, fingerings and other editorial markings have been added throughout the score. The Creatures of Prometheus is a ballet composed in 1801 following the libretto of Salvatore Viganò. The overture to the ballet is part of the concert repertoire. Beethoven based the fourth movement of his Eroica symphony and his Eroica Variations (piano) on the main theme of the last movement of the ballet. 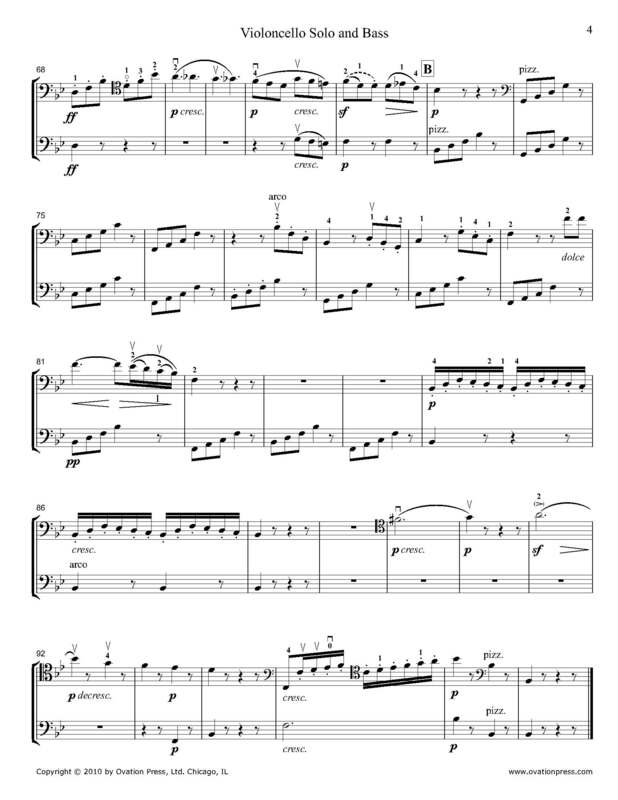 Download and print the score today to gain access to expertly edited Beethoven Prometheus cello fingerings and bowings for this excerpt from Frank Miller! Please note: This edition is an excerpt from Act II, No. 5.